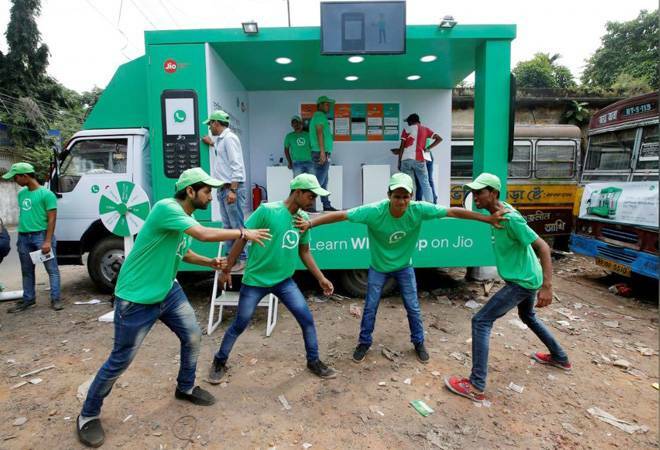 On a hot morning in India's tourist mecca of Jaipur, an open truck painted in the signature lime-green colors of Facebook's WhatsApp messaging service pulls into a dusty lane, where five men spill out and begin to perform a skit. "Our society is better than theirs and that's why you should hate them," says one, citing one example of an incendiary text circulating on WhatsApp in India. "If you are truly one of us, spread this message." Such texts, pictures and videos aim to sow discord, warns another, as the viewers in the capital of India's western desert state of Rajasthan are then told how to identify forwarded messages and use WhatsApp responsibly. India's technology minister has demanded the company do more, including working out how to trace the origin of "sinister" messages. But WhatsApp says it will not take such steps, which would require it to weaken encryption and other privacy protections. It is not clear how much the public information campaigns will change people's behavior. But in Jaipur, at least some of the messages seem to be getting through.